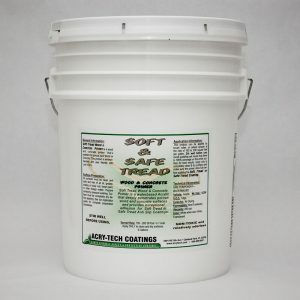 Safe Tread is unique anti slip coating because it contains no silica which can cause respiratory problems. 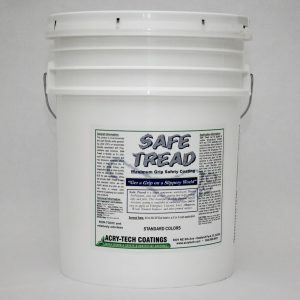 The heavy grit that provides the superior traction and non-slip properties will not settle out in the container nor will it clump during application. 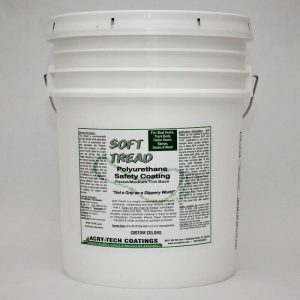 It’s very easy to apply with one of our unique texture rollers, it’s waterbased so cleanup is easy and it does not require exotic safety equipment for a safe application. 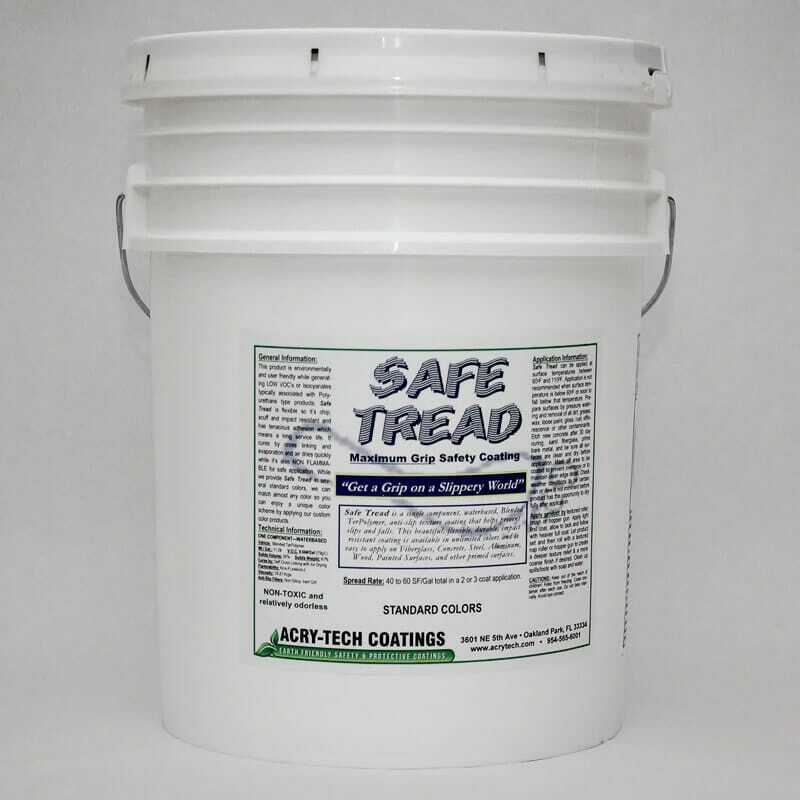 Considering the ease of use, the easy water cleanup and that no expensive safety equipment or solvents or reducers are required, Safe Tread is much less expensive than most all other safety coating options as it covers about 60 square feet per gallon. Material costs are generally around $1.00 per square foot depending on the applied rate and the chosen color. 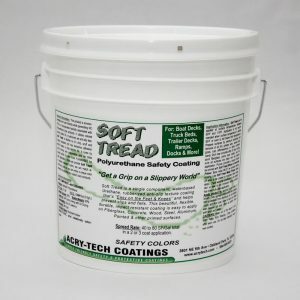 Colors available for Soft Tread include Cream, Dark Blue, Sand, Light Green, Water Blue, Dark Brown, Dark Green, Medium Blue, Tan, Light Gray, Medium Gray, Yacht White, Brick Red, Black, and Dark Gray. We also have Safety Orange, Safety Yellow,Safety Red to meet the needs of Safety Purposes.